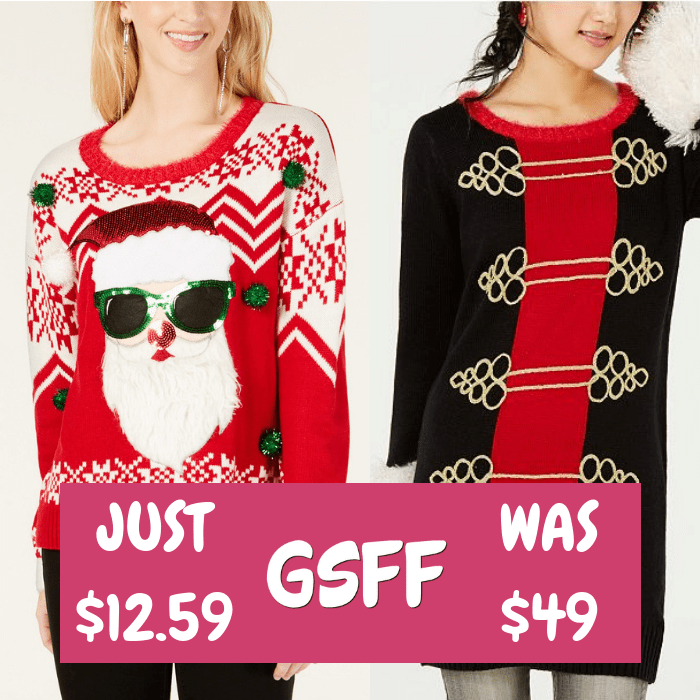 Ugly Christmas Sweaters Just $12.59! Down From $49! You are here: Home / Great Deals / Ugly Christmas Sweaters Just $12.59! Down From $49! Head over to Macy’s to score these Ugly Christmas Sweaters for just $12.59 down from $49 when you use promo code FRIEND at checkout! PLUS, it’s FREE store pick up or FREE shipping for orders over $99 or with any beauty purchase!